Your dog’s DNA matters because your dog mattes. 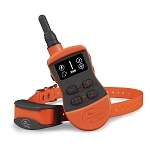 Completely understanding what your furry bff is all about is going to take pet parenthood to the next level. Custom photo certificate of the breed’s found in your dog’s genetic breed composition. What Makes Find My Pet DNA Different? Most DNA tests for dogs simply show you your dog’s most dominant or obvious breeds. This is great fun, but if your dog is part Lab and part Collie, you probably already see that in him. Some DNA tests add some of the genetic markers that indicate a predisposition to certain disease. While this is useful information for any responsible pet parent to have, it is an inexact science. 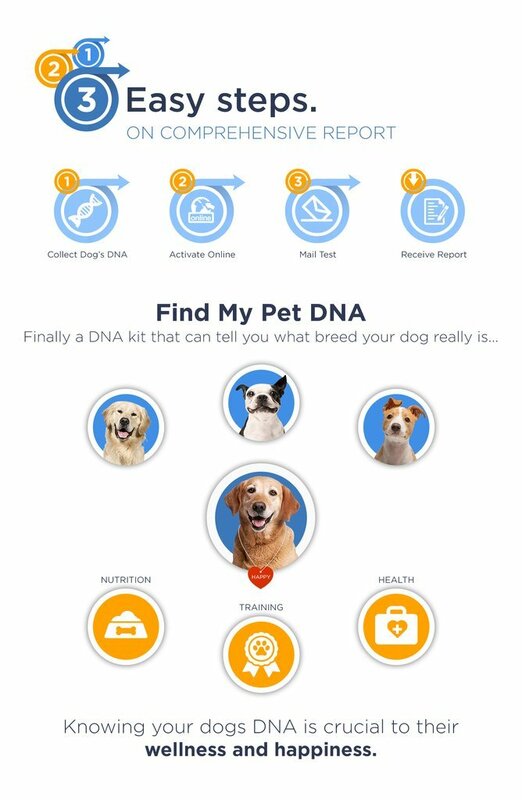 Find My Pet DNA takes an approach that is closer to Human DNA testing by helping you discover the deeper ancestry of your pet. Have you ever seen that commercials for Human DNA kits where the person says they always thought they were German, only to find out they were really Irish? The Find My Pet DNA test will not only show you some of the more obvious breeds in your dog’s genetic make-up, but breeds further back in your dog’s ancestry. Why does this matter? Because not only is it fun to see that maybe your big and tough Pit Bull might have a toy poodle ancestor, it is also very important to plan for the long term health and wellbeing of your dog. The disposition of various breeds towards diseases and disorders are very well known, so knowing the breeds in your dog’s ancestry is an important tool to better understand how to care for your beloved pet and insure a long and healthy life. We know you are anxious to learn more about your loved one, but we promise, the wait time for your results will be worth it. Please allow 7-10 days for the Post Office to deliver your samples to our laboratory. We will email you the results within two weeks of receiving your dog’s DNA samples. You should expect your results within 3-4 weeks after you mail them to us. This deeper knowledge and understanding of your pet will help strengthen your bond and enhance your relationship. Love is worth the wait. 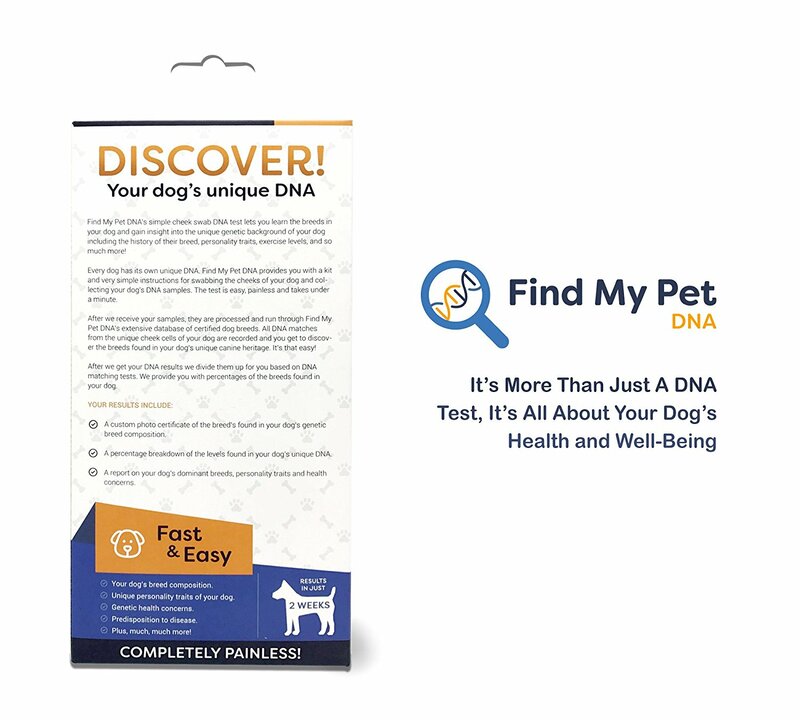 Thank You for trusting Find My Pet DNA. DO YOU NEED TO DISCUSS YOUR DOG'S BACKGROUND WITH YOUR VET? Because we offer an accurate percentage of the certified dog breeds found in your dog’s DNA sample, the results can be used as a handy guide when you need to discuss the associated health risks and personality traits of your dog’s breed and background with a veterinarian. DOES YOUR DOG HAVE PREDISPOSED DISEASES? 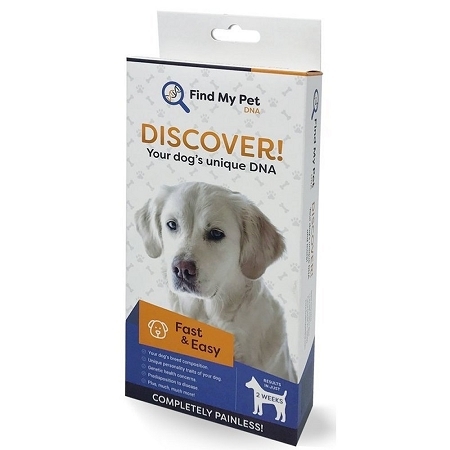 In just under a minute, you can use the Find My Pet DNA kit to collect samples, send it to us and we’ll get you the results you need in just 2 weeks. Once you receive the results, discuss with your veterinarian about your dog breed’s predisposed diseases. DNA testing can help you stay one step ahead in terms of your dog’s health and well-being. Q: Is there any other fees associated with this product? Also how many breeds can this test for? There are not any other fees. 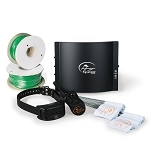 We even include a pre-paid label so you can send your Dog's DNA sample. Our database currently includes over 200 breeds. The breeds that we detect are the most common breeds you see, such as Labrador Retriever, German Shepherd Dog, Yorkshire Terrier or Chihuahua, for example. These common breeds are the ones most likely to be present in a mixed breed dog or in the increasingly common designer dogs. The rare breeds that are found in the US are unlikely to be present in a regular mixed breed, so breeds like Komondorok, Kuvasz or Wirehaired Pointing Griffon will not be seen in many mixed breed dogs. As the cost and time of performing the Breed ID test goes up as you add more breeds, we decided to include just the most common breeds to keep the price down to meet your needs. 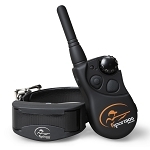 Why pay more, when for most people the breeds that make up their dog are the common ones? For more than 99% of the samples we have received, we have been able to match the samples to our breeds. The Find My Pet DNA test goes off of the American Kennel Club's registry. They recognize the Australian Kelpie and the Working Kelpie as breeds. So yes, the test does include Kelpie. Q: Do you test for Walker coonhound? Yes, the Find My Pet DNA test does include Walker Coonhound. If a breed is recognized in the American Kennel Club registry, then it will be included in the test done by the Find My Pet DNA kit.